Liberation Nuts from Oxfam this Christmas! This Farmer owned, first UK Fairtrade nut company Liberation Foods is getting into the spirit of the Christmas season by launching a new range of snacks that taste delicious and are highly nutritious and will be available for purchase at 252 Oxfam shops across the country. Bursting with the creamy texture of Brazil nuts and the sweet taste of cashew nuts – not forgetting flame raisins and the chewy dried figs, cranberries and pineapple – Liberation Foods has certainly got winter bagged up! This lively and generous assortment of Fairtrade nuts including Brazil, cashews, roasted peanuts, macadamias and the sweetness of almonds, makes for moreish party nibbles. Either grab a handful as a nutritious snack or add them to wintery soups, salads or festive desserts. 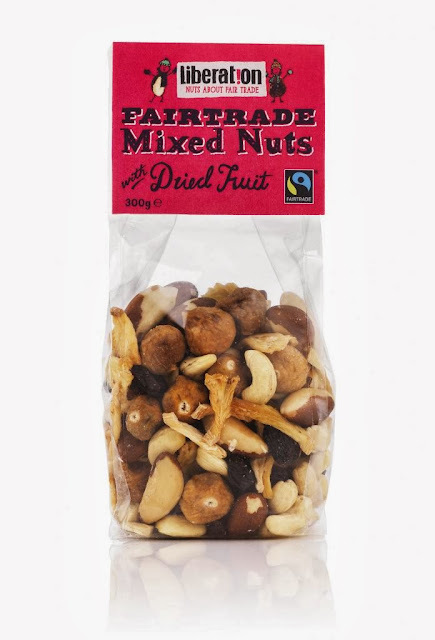 All nuts are sourced from co-operatives of small-scale growers and farmers who own a 44% share of the company and most importantly – get a fair deal. This winter Choose Liberation nuts! Liberation Foods has also created two brand new own-label Christmas nut products exclusively for Sainsbury’s. 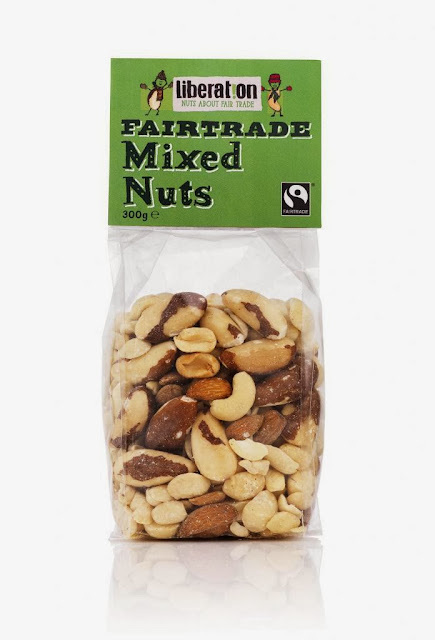 The Christmas by Sainsbury’s snacks are: Roasted Fairtrade Mixed Nuts (250g) and Roasted Fairtrade Cashew Nuts (250g) and both vegan friendly. I was sent two packets of nuts for the purpose of this review all opinions expressed are honest and my own.